This book is an outgrowth of my interest in the chemistry of sedimentary rocks. In teaching geochemistry, I realized that the best examples for many chemical processes are drawn from the study of ore deposits. 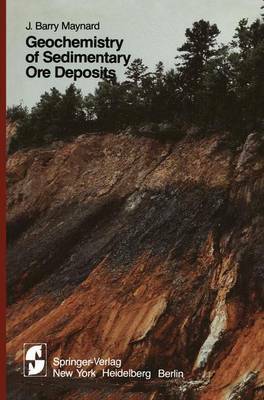 Consequently, we initiated a course at The University of Cincinnati entitled "Sedimentary Ore Deposits," which serves as the final quarter course for both our sedimentary petrology and our ore deposits sequence, and this book is based on that teaching experience. Because of my orientation, the treatment given is perhaps more sedimentological than is usually found in books on ore deposits, but I hope that this proves to be an advantage. It will also be obvious that I have drawn heavily on the ideas and techniques of Robert Garrels. A number of people have helped with the creation of this book. I am especially grateful to my students and colleagues at Cincinnati and The Memorial University of Newfoundland for suffering through preliminary versions in my courses. I particularly thank Bill Jenks, Malcolm Annis, and Dave Strong. For help with field work I thank A. Hallam, R. Hiscott, J. Hudson, R. Kepferle, P. O'Kita, A. Robertson, C. Stone, and R. Stevens. I am also deeply indebted to Bob Stevens for many hours of insightful discussion.